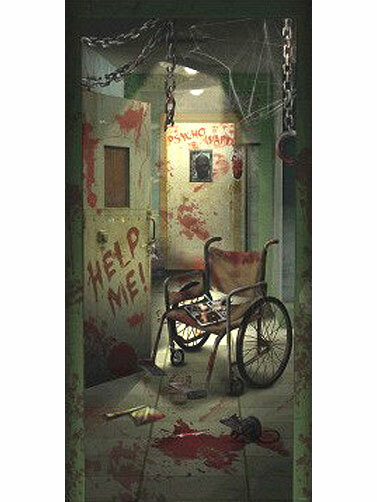 Use this Asylum Corridor of Doors Door Decoration to guide guests through the door of your haunted asylum. Image of an asylum corridor is printed on plastic and can be cut to fit. Hang with adhesive tape or sticky tack, sold separately. Asylum Door Decoration measures 65" x 33.5"